It’s clear, however, that money rather than “ideology” explain the president’s pivot to China. The Chinese side have no illusions on this score and made sure their new friend was appropriately rewarded – deals worth US$24 billion (US$15 billion in investments and US$9 billion in loans) were signed between the two governments. This was no last-minute arrangement; the two sides have reportedly been working hard on a deal since Duterte won the election in May. Duterte is prone to fiery and unpredictable statements, later to be ‘clarified’ by his ministers. “It’s like Kim Jong-un minus the nukes,” says Joseph Franco, a Singapore-based Philippines expert. Over recent months, Duterte has stepped up his verbal attacks on the US, the Philippines’ former colonial master, branding Obama a “son of a whore” and accusing the CIA of plotting to assassinate him. He has announced the end of joint military drills in the hotly disputed South China Sea and set a two-year deadline for US troops to leave the Philippines. Commentators and especially US foreign policy strategists are now scrambling to assess how far Duterte’s pro-China tilt will go. In China, even his hosts were stunned by his announcement of a “separation” from the US. 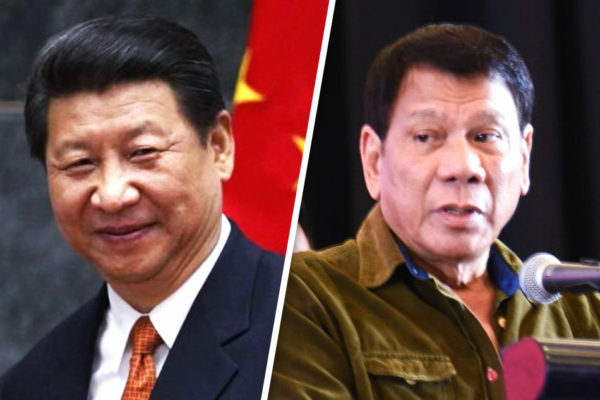 A commentator in the Philippine Star wondered, “Did the Chinese give Duterte too much Maotai?” – referring to the potent, very expensive Chinese liquor. The Chinese side afforded Duterte the full red carpet treatment; in an unusual move for the leader of a “small country” he was given an audience with four of the seven members of the ruling Politburo Standing Committee. His hosts even overlooked his mispronunciation of Xi Jinping as “Ji Xinping”. But they are keeping a watchful eye to see whether Duterte’s words will be translated into policies. Duterte is leveraging his country’s strategic geopolitical location to extract economic concessions from all sides in what is a hardening great power conflict. He hopes to play the US, China, and lesser powers like Japan, off against each other. It is a trick he is also using to consolidate his rule at home in a factionalised political system. This approach is not unique. Other Southeast Asian states have, more discreetly, adopted similar strategies in recent years. This has been the case in Myanmar – but in the opposite direction – tilting from China towards the West to secure better terms and to hedge against an overdependence on Beijing. Thailand, and more recently Malaysia (whose prime minister Najib Razak has also headed for talks in Beijing), have partially shifted from the US camp towards closer ties with China. As stated, China’s leaders are under no illusions on this point and while welcoming the precious propaganda victory Duterte has given them, they are likely to proceed cautiously and incrementally (as always) in committing financial and other resources to the Philippines. The deals unveiled in Beijing are mostly in the form of memoranda of understanding (MoU), with actual implementation likely to be staggered and conditional. Reflecting considerable scepticism in China, many commentators on social media compared the Philippines president’s “separation” from the US to the flood of Shanghai couples filing for divorce in order to benefit from more generous terms for housing loans. The US government, while publicly playing down the significance of Duterte’s ‘China flip’, is forced into a major reassessment of its strategy for the Asia-Pacific. The ‘pivot’ or ‘rebalancing’ as Washington prefers to call it nowadays, is a many-sided military, diplomatic, and economic doctrine that aims to contain China. The intensifying rivalry between the world’s first and second economies has fuelled a process of military build-up and national tensions across Asia – the region accounts for 46 percent of global arms imports since 2011, when the US ‘pivot’ was launched. US policy in Asia includes the Trans-Pacific Partnership (TPP), an ultra neo-liberal economic pact that excludes China. The real role of the TPP – as a weapon of US foreign policy – was summed up by US Defence Secretary Ashton Carter who said that, “passing TPP is as important to me as another aircraft carrier.” But even the TPP is in trouble as ‘anti-globalisation’ (protectionism) sweeps over the world economy. The Philippines is the oldest military ally of US imperialism in the region. Its geographical position, as part of the first island chain (together with Taiwan and Japan), makes it the fulcrum of the US ‘pivot’ strategy. Duterte’s sudden pro-China tilt is therefore a significant setback for US imperialism. Peter Hartcher, international editor of the Sydney Morning Herald, described it as “a serious shift in the balance of power in the Asia-Pacific”. Regional tensions are set to rise, however, with the US, especially after a new president is elected, likely to step up its naval presence in the South China Sea while also seeking to strengthen ties with other regional actors. “We need Vietnam, Malaysia and other countries surrounding the South China Sea in our group,” said Hideki Makihara, a senior member of Japan’s ruling LDP. 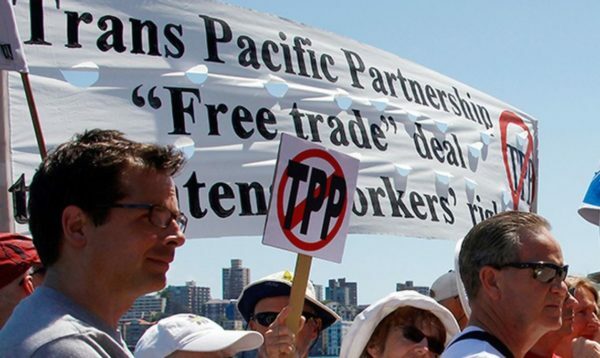 Resistance to the TPP is growing. The Chinese regime is pushing back against US interests with its own diplomatic and military initiatives, leveraging its ‘soft power’ in the form of loans, infrastructure deals, and its grandiose ‘One Belt One Road’ (OBOR) plan to connect 60 countries in Eurasia and Africa more closely to China. The problem with the ‘OBOR’ scheme, dubbed ‘China’s Marshall Plan’, is that the Chinese economy itself is now sinking in debt, posing the very real danger of financial overreach. China now accounts for more overseas development loans – totalling over US$700 billion – than all six Western-backed multilateral institutions combined (World Bank, Asian Development Bank etc.). This, as a recent report in the Financial Times showed, has forced Chinese officials into “a thorough re-evaluation”. Lights are already flashing red from Venezuela to Zimbabwe, where Beijing is tightening the screws on previous loans and, as commodity prices fall, demanding a bigger pay-out in the form of oil and minerals, which most Chinese loans are tied to. Chinese-backed infrastructure projects have been cancelled or run into major difficulties in many countries due to budget overshoots, funding problems and political pressures. This is the case with high-speed railway projects in Thailand, Indonesia, Mexico and also Venezuela – a project the late Hugo Chavez called ‘socialism on rails’ which has all but been abandoned. The proliferation of bad debts is also why Beijing set up the Asia Infrastructure Investment Bank (AIIB) in 2015, joined by 57 states including most Western governments (except the US and Japan which refuse to join). Through the AIIB, Beijing wants to ‘normalise’ its lending practises and bring them into line with imperialist agencies like the IMF and World Bank. The Chinese regime is facing unprecedented pressure as economic growth slows, while debts and industrial overcapacity hit new records. China’s economy has outgrown its national market by a wide margin and must try to export surplus production overseas, but the global capitalist crisis and the increase in trade protectionism is blocking this road. The regime’s answer is to export capital tied to huge infrastructure deals but this is fraught with financial and political risks. Duterte, with much personal prestige at stake, hopes to re-route some of the potential ‘OBOR’ funding into the Philippines, which has so far missed out, on the assumption that possible new railways, power plants, air and seaports will boost the economy and secure his political base. His trade secretary, Ramon Lopez, said the billions of dollars in Chinese investments would amount to the biggest infrastructure boom in the country since the years of the Marcos dictatorship. As reflected in the composition of Duterte’s China delegation, the president has allied himself with sections of the Chinoy (Chinese-Filipino) capitalists who hope to profit from improved access to China’s economy. But with Chinese-financed projects running aground in other countries, Manila’s enthusiasm should be tempered. Furthermore, as Duterte’s follow up visit to Japan demonstrates, he has to tread a very fine line, risking an economic backlash from Japan, by far the biggest foreign investor in the Philippines, and the US which is the second biggest, if his government aligns itself too closely with China. Whether he can pull off this balancing act remains to be seen. A key fault line in the contest between US and Chinese power has been the South China Sea, or West Philippines Sea as it is now called in the Philippines, which the US claims as “international waters”. This is a nice sounding idea which actually means that the biggest navy – America’s – rules. The Chinese regime claims almost all the South China Sea as its own, a position that has alienated other coastal nations including the Philippines. In July, the Permanent Court of Arbitration in The Hague ruled against China’s territorial claims in the South China Sea and in favour of the Philippines, handing a propaganda victory to the US, which was heavily involved on the Philippines side. But this has since been overshadowed by the Duterte administration’s policy shift. It is wrong, however, as some military hawks in China have done, to suggest that these conflicts cannot flare up again, and possibly shipwreck the current rapprochement between Manila and Beijing. One week after Duterte’s return from China, Filipino fishermen were allowed by the Chinese to resume fishing around the disputed Scarborough Shoal, under a deal that was clearly worked out earlier but on the condition both sides would play it down. This is also why its implementation was delayed and no announcement was made during Duterte’s China visit. This deal, a small but concrete achievement for Duterte’s diplomacy, is characteristic of Chinese policy: to offer small concessions so long as Beijing’s authority is not challenged. China seized control of the Scarborough Shoal in 2012 and expelled the Filipino fishing fleets. This was to show its displeasure with the pro-US policies of Duterte’s predecessor Benigno Aquino III. The change of policy reverts to the pre-2012 situation, and therefore doesn’t cost Beijing much. It does not mean a Chinese withdrawal from the Scarborough shoal, nor does it change Beijing’s claim of sovereignty. Both sides could move forward with deals for joint exploration and exploitation of underwater oil and gas reserves provided that these do not impinge on sensitive sovereignty issues which both view as “non-negotiable”. Indeed, this was the policy of the former Philippines president Gloria Macapagal Arroyo. But as before, these plans can be cut across by international and domestic pressures, with politicians on either side defending their own national interests and prestige. 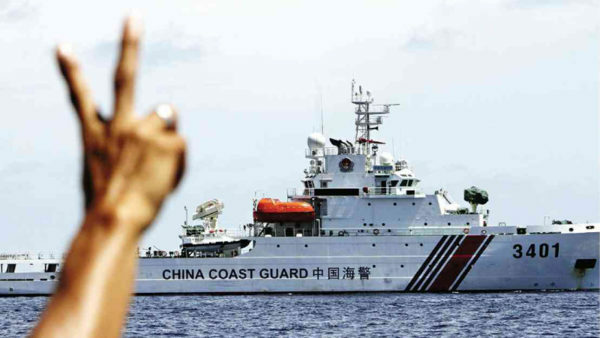 China allows Filipino fishermen to return to the Scarborough Shoal. Duterte’s rise is an expression of the chronic social and political crisis of Philippines capitalism and its shaky ‘democracy’ – reflecting a wider trend throughout the region and globally. His popularity, still at 70 percent according to polls, is based on the perception that he is ‘different’ and represents a break with the established, corrupt and ineffective political order. In reality, he represents the same billionaire interests as his predecessors, only in more brutal fashion; the president has surrounded himself with neo-liberal economic advisors from previous administrations. His bloody ‘anti-drugs’ campaign, which is claiming 44 lives every day, emulates a similar campaign more than a decade ago by Thailand’s populist prime minister Thaksin. Duterte should take note: Thaksin was toppled and forced into exile by the Thai military. Duterte’s campaign has initially won widespread support, but more in the false hope its architect is a leader who can ‘get things done’. The political shake-up in the Philippines and its impact on the East Asian political map are evidence of the region’s volatility, despite strong economic growth. The Philippines is one of the world’s best performers with GDP forecast to grow 6.5 percent this year. But the gap between rich and poor is the widest in Southeast Asia. These sharp political shifts are also a commentary on the deepening crisis and decline of US imperialism, which has never recovered from the twin blows of its disastrous Middle East wars and the 2008 financial crisis. The horror show of the Clinton-Trump election battle has further shaken the confidence of pro-US governments and ruling elites worldwide and reinforced an image of crisis and loss of control. Duterte’s ‘China pivot’ will not go unchallenged on the home front, with deep splits already appearing within the Filipino ruling class. Crucially, there are rumblings within the army top brass, which has historically close links to the US military establishment. Threats to impeach the president are already surfacing with reference to any territorial concessions to China in the South China Sea. These divisions are highlighted by the resignation of former president Fidel Ramos as Duterte’s special envoy to China. Ramos backed Duterte’s presidential bid and favours a rapprochement with Beijing, but opposes any rupture with the US. He is a former chief-of-staff for the armed forces and his resignation represents a warning from the pro-US wing of the establishment. Ramos wrote a column in the Manila Bulletin describing Duterte’s first 100 days in office as a “huge disappointment and let-down”. If China’s promises of economic support go sour, or replicate the pattern of ‘new colonialism’ we have seen in many parts of Africa and Asia, anti-China nationalism is likely to flare up and will be exploited by Duterte’s opponents to undermine his rule. A recent opinion poll showed that 76 percent of Filipinos trust the US ‘very much’ but only 22 percent said the same about China. The working class and oppressed rural masses of the Philippines need their own alternative to a broken political and economic system. 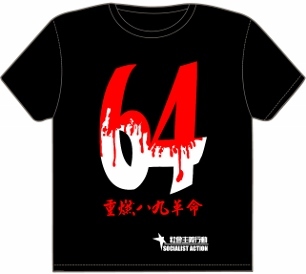 This excludes giving any support to the various wings of the capitalist establishment. Unfortunately this is the trap the main left organisation, the Communist Party of the Philippines, has fallen into. It is calling for a “patriotic alliance” with Duterte largely on the basis of his anti-US rhetoric. This is despite that party’s frostiness towards China (its one-time Maoist allies), which the CPP correctly warned can lead to it replacing the US as “the giant that dominates and plunders the country”. 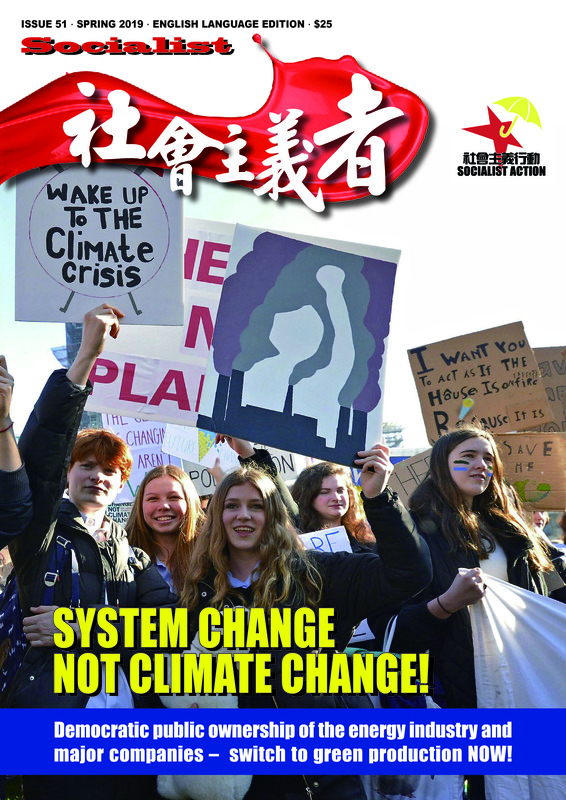 The only real solution is a socialist alternative, independent of all the capitalist politicians, which fights for the election of a workers’ and peasants’ government on a programme to take the economic and natural wealth of the country into public ownership and democratic control.